We love the doors in our home! They welcome us back at the end of a long day. They allow us to interact with the outdoor spaces in our home. They offer us privacy and make a home ours in a primitive sense. Problematic doors that are jammed, squeaky, or crooked can make everyday life annoying. Luckily, these are all easy fixes that you can do yourself. 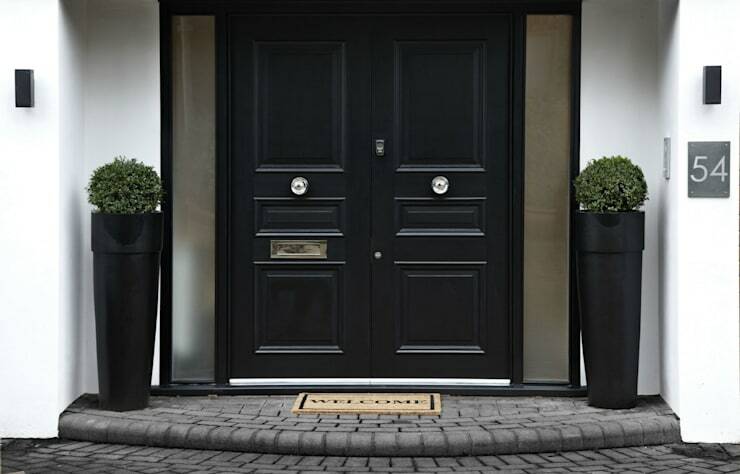 In our guide we will show you some of the most common complaints and problems about doors. Some of these troubles seem minor, but can lead to damaging the door or its frame if neglected. So let’s take a look together at the simple fixes for the doors in your home! Over time, doors can start sagging and hanging askew. An adjustment to the hinges should help you out. 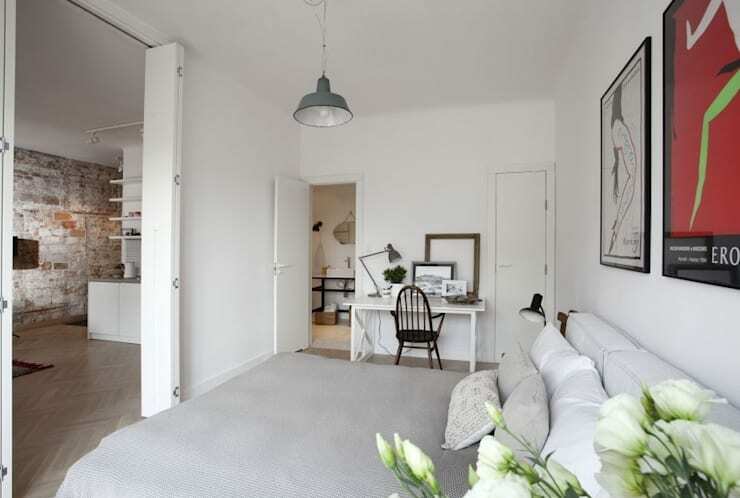 One of the things we love most about stylish rooms we see on homify is their symmetry and clean lines. The eye is immediately drawn to any deviation in symmetry. 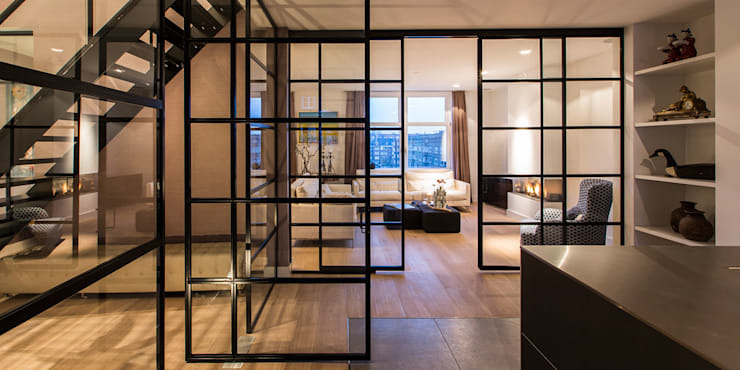 You can help your home look its best by making sure that the doors are all hanging straight. Check out the doors in this room. They have crisp and clean lines and that’s the look you want in your home. When doors are too loose they can rattle. To fix a rattling door, often all you need to do is tighten the hinges. This will help the door close properly. The door could also be rattling because the strike-plate or door stop is in the wrong position. It takes some measuring and installation to fix these issues. Doors can be a little complicated for the first time at home fixer-upper. 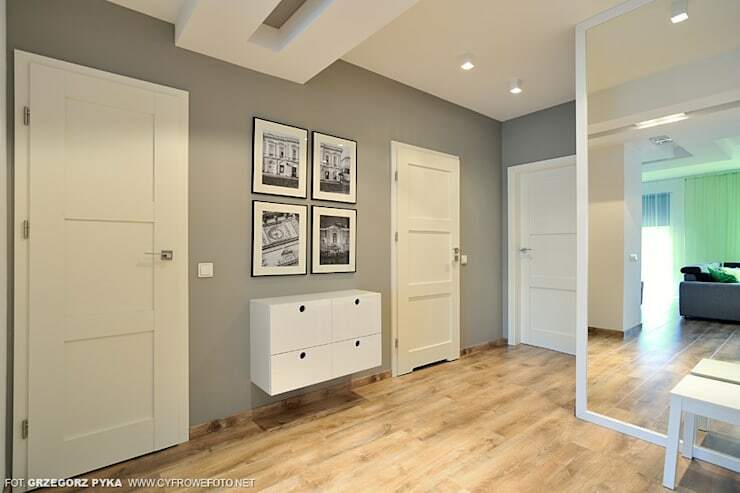 If you want to completely redo the doors in your home then let homify connect you with professionals today. Not all door problems are big projects. There are quick cosmetic fixes for the doors in your home, too! It’s simple to replace hinges, letterbox slots, and door handles to upgrade the style of your doors. This front door has fun silver door knobs and a gold-plated letter box. The glossy black paint is a sophisticated colour choice. These are all simple investments that can refresh the look of your home. A stuck door in the home is more than a mild annoyance. If left alone, it could seriously damage the door frame when someone gives a mighty pull to unstick the door. Luckily this is a simple fix. Check that the hinges are properly tightened and that the locking mechanism is working. If the hardware seems to be fine, then the door might be sticking because of its wood. Wood is a natural material that expands and contracts with the seasons. Especially in older homes, the wood has been through a lot! You might have to shave down the wood of the door slightly to fix a stubborn door. Creaky doors are annoying. They can also be startling. Imagine going to the bathroom in the dark of night when they make that horrible sound! They seem to make noise at the most inopportune times. It’s simple to fix a creaking or squeaking door. It’s most likely the hinges that’s making the creaking sound. Before you go grab the WD-40, we know a few tricks for this fix. Clean hinges with soapy water first and then use a silicone spray on them. Be sure to open and close the door to spread the oil around. If the problem still persists, you can try taking the door off its hinges and cleaning them with steel wool. If it’s still not working, you now have a good excuse to upgrade to some stylish hardware and replace the hinges. Some doors drag along the ground, damaging the floor and making terrible sounds! This issues is usually linked to a stuck door. It happens often with wood doors that are not on their hinges properly. You already know how to fix those problems by now! Another way to help keep the door from dragging on the bottom after the fix is to give it a new coat of paint to seal the wood. 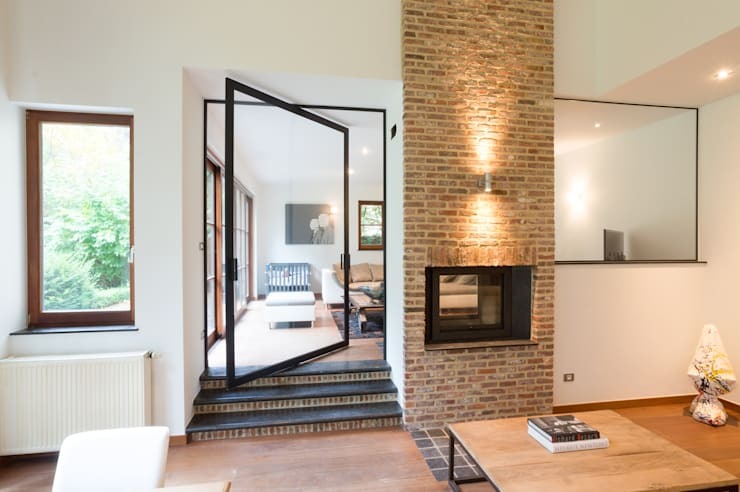 Thanks for reading our guide of adoorable fixes for the home! Please check out our feature on 14 things in your home that annoy guests to pick up more DIY tips. Are you handy at a DIY project like this?